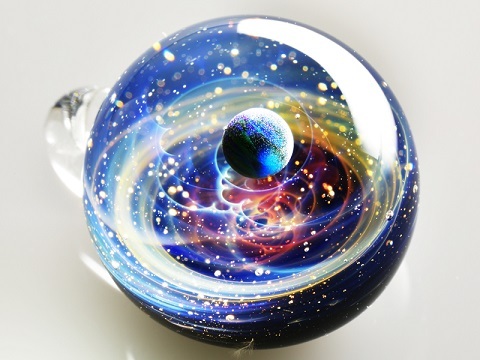 Japanese glass artist Satoshi Tomizu of Plusalpha-Glass, creates amazing space glass jewelry. 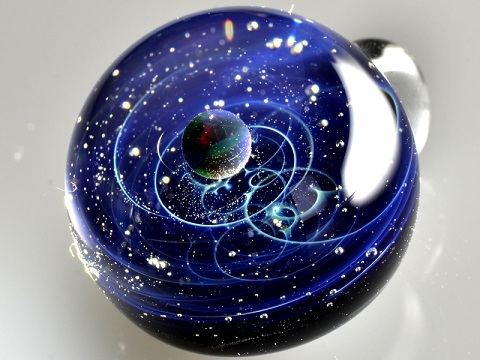 His work is all the more remarkable because his cosmos creations are all small pendants. 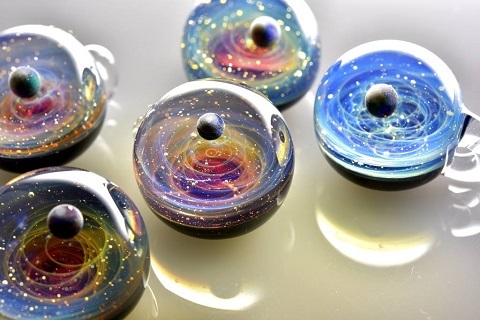 The detail is astounding - tiny galaxies with stars and swirls. 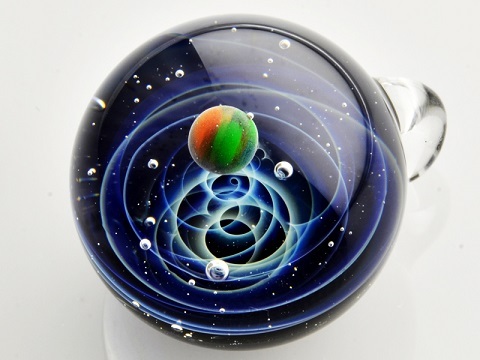 There is even a design with a moon orbiting a planet as you can see from his video of one of his beautiful pendants. 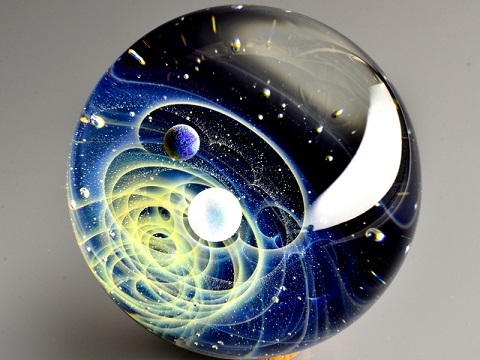 The "planets" are most often (synthetic) opals. The stars are actually specks of gold. 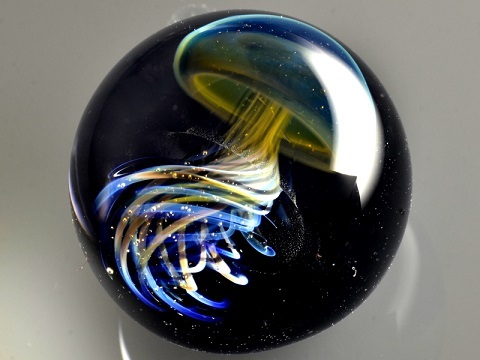 The artist started to work with glass when he was 28. He spent years honing his craft. Now in his 30's, his work is in high demand. He has temporarily stopped taking orders. Sign up on his mailing list to be notified when his creations are available for sale once more. Watch the glass artist at work. Also noteworthy are his gorgeous jellyfish pendants. Those are simply gorgeous! No wonder his work is in such high demand!!! Wow, he is amazing! Thank you for sharing his beautiful work. Wow!!!! That guy is really talented. Too bad he stopped taking orders because I bet a ton of people (me for sure) would love his artistic pendants. Thank you for sharing his amazing work.